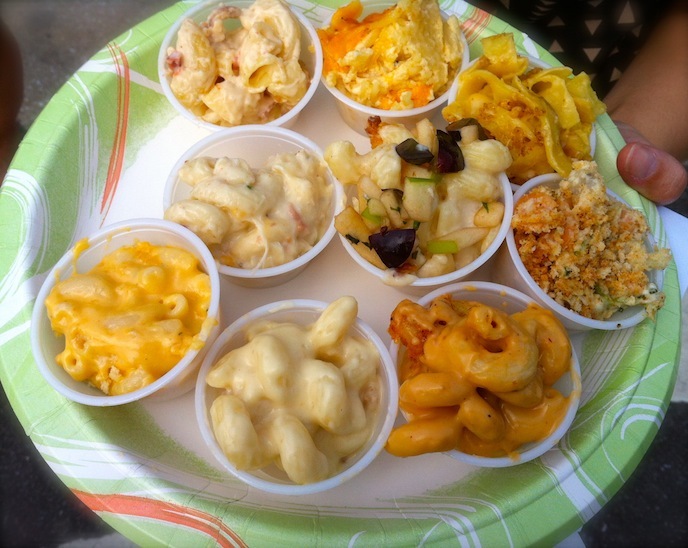 Cheese is awesome! For most, it may be a huge leap to think that you can actually make fresh cheese in your own home, but it is surprisingly simple. 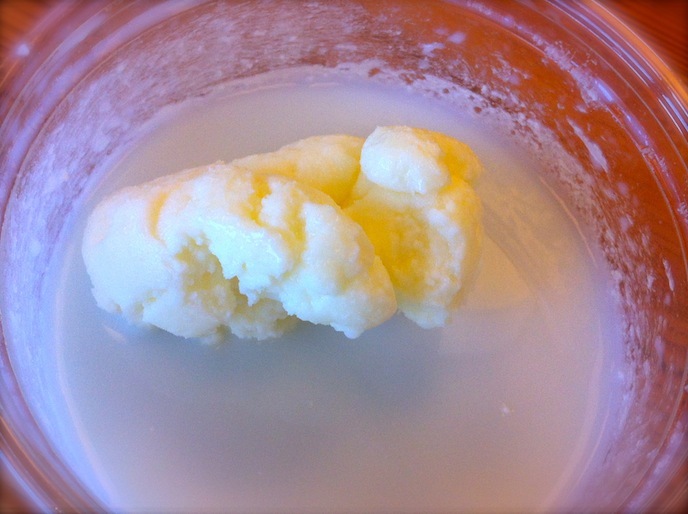 Ricotta is a fresh cheese and is made by heating milk and stirring in an acid (vinegar or lemon juice) to create curds. The curds are strained from the whey and there you have it, fresh ricotta cheese. 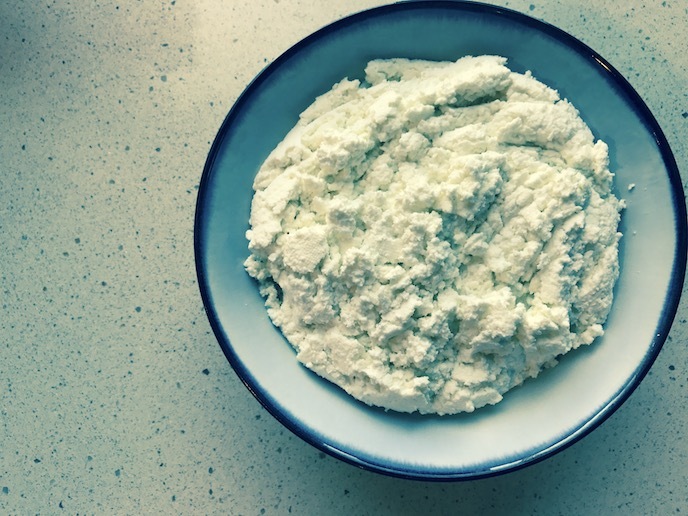 This recipe for homemade ricotta cheese is so easy, tastes amazing and can be used for a variety of pasta dishes, salads and appetizers. 1. Place the milk in a large pot and heat until little bubbles form on the edge of the pot. The temp. should be about 180-190 F.
2. While the milk heats up, line the colander with a double layer of cheese cloth. Place the colander into the large bowl. 3. Stir the vinegar into the heated milk and stir. Let sit for 10-15 minutes. You will see the milk start to seperate into curds and whey immediately. 4. 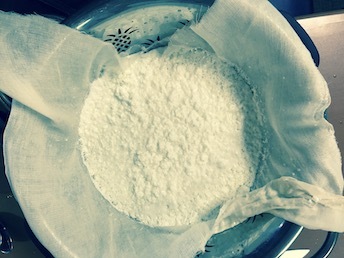 Carefully pour the milk mixture into the cheesecloth and let the whey drain into the bowl. Let this drain for 5 minutes and then pour off the first round of whey. After 20 minutes, you can start to pull the corners of the cheesecloth and squeeze more liquid out of the mix. 5. Place the cheese into a bowl and stir. At this point you can taste the cheese and season further with salt if you want. You can repeat the process to the remaining whey to make a low fat cheese. This recipe for breakfast guacamole is a great way to spice up your morning. I first had this while working in the morning shift in a kitchen. Thought breakfast is not my favorite meal, I can eat taco related food anytime of the day, so this was right up my ally. I like to prep a bunch for the week, wrap it up in a tortilla and take it on the road. * You can also use 1 cup of jarred salsa, but results may vary. Place all of the ingredients into a bowl and smash to combine. Serve warm or cold with tortillas. 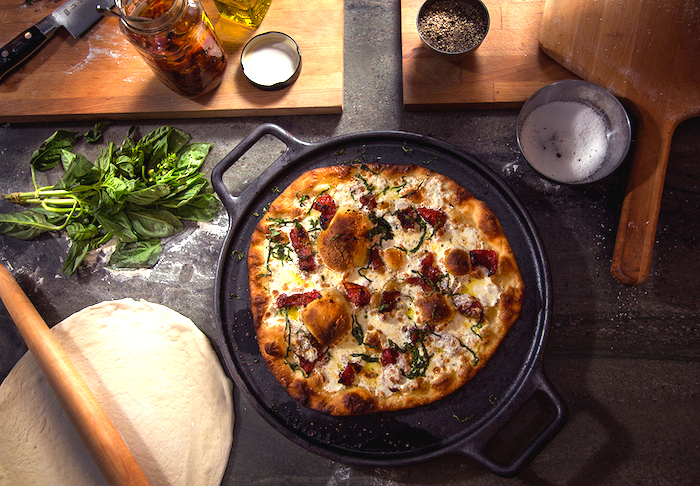 Place a large skillet over medium heat and add the olive oil to the pan. When the oil starts to smoke add the squash, zucchini and onions to the pan. Add the herbs and toss the vegetables, cook for 2 minutes, toss again and repeat. Top the squash with the feta cheese and broil until golden brown. Remove the pan from the under the broiler, garnish with herbs and serve. Mix the first 7 ingredients in a small bowl and set aside. To form the ravioli, place an eggroll wrapper on a flat surface and moisten the edges with a small amount of water. Place a tablespoon of the filling in the middle of the pasta, fold over and seal tight. Repeat with the rest of the filling. Keep the ravioli covered with plastic wrap during this process. To cook the ravioli, bring a large pot of salted water to a boil. Carefully place the ravioli into the water and cook for 3-4 minutes or until they float to the top. One of my most favorite food combinations in the world is warm crusty bread with homemade butter. If butter is the staff of life, then butter makes life awesome! Butter is created by whipping or agitating cream until the fat molecules separate from the water molecules. Butter is super easy to make and taste much better than the store bought stuff. It is also a great way to put the kids to work in the kitchen. This type of butter is very rich and flavorful and will be a showstopper at any gathering. I like to flavor the cream with a pinch of salt and a drizzle of honey before I shake it up. You can also experiment with different flavors by adding dried herbs, spices, garlic and sweeteners. You can also use cream from grass fed cows and buffalo for an extra rich treat. Place the ingredients into a sealable container and shake for 15 minutes. Drain off the water and enjoy!